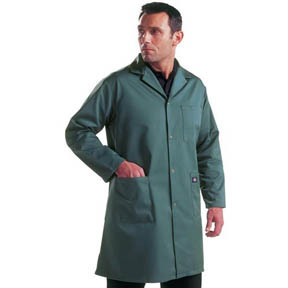 Wholesale Dickies Coverall & Jackets available for both sexes in many different styles and sizes.Logo your items for little extra with our fast logo service. Next day delivery on most of our items. If you like Cheap Dickies Coverall & Jackets please take a few minutes to check out Dickies Trousers & Jeans. 46R - Waist 46", Inside Leg 31"
44R - Waist 44", Inside Leg 31"
42R - Waist 42", Inside Leg 31"
40R - Waist 40", Inside Leg 31"
38R - Waist 38", Inside Leg 31"
50R - Chest 50", Inside Leg 34"
48R - Chest 48", Inside Leg 34"
46R - Chest 46", Inside Leg 34"
42T - Waist 42" (106.7cm), Inside Leg 35"
60T - Chest 60", Inside Leg 33"
60R - Chest 60", Inside Leg 31"
58T - Chest 58", Inside Leg 33"
58R - Chest 58", Inside Leg 31"
54T - Chest 54", Inside Leg 33"
56T - Chest 56", Inside Leg 33"
54R - Chest 54", Inside Leg 31"
52R - Chest 52", Inside Leg 31"
52T - Chest 52", Inside Leg 33"
48T - Chest 48", Inside Leg 33"
46T - Chest 46", Inside Leg 33"
46R - Chest 46", Inside Leg 31"
56R - Chest 56", Inside Leg 31"
50T - Chest 50", Inside Leg 33"
50R - Chest 50", Inside Leg 31"
44R - Chest 44", Inside Leg 31"
Waist 33", Inside Leg 34"
Waist 32", Inside Leg 33"
Waist 30", Inside Leg 32"
64 - Waist 48", Inside Leg 34"
62 - Waist 46", Inside Leg 34"
Waist 36", Inside Leg 30"